Getting the kids out hiking can be a wonderful activity. There’s something great about being in the outdoors, away from technology and in touch with nature. In order to make that experience as easy as possible, it’s a great idea to get the best kids hiking backpack for them to store their things. There are many aspects into what makes the best hiking backpack for kids and it’s important to look at all the key features to ensure that you’re getting everything that you need for your little one. From the size and color, to the number of pockets and waterproofing, there is plenty to consider. Here we will look into all those key features and why they are important. We have also completed kids hiking backpack reviews on the best products on the market to help you choose the perfect solution for your little budding hiker. 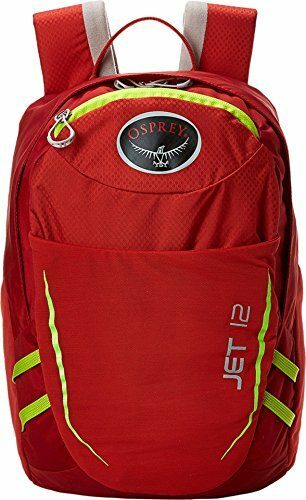 Osprey have produced this top rated hiking backpack for kids which has all the features that you would need. It’s available in either green or red and has plenty of pocket options to be able to store all their items. It has a fixed top lid which will be able to secure everything in the bag and it is highly adjustable to ensure that it always has a tight fit. It’s a great backpack which will give your child everything they need. This is one of the smallest youth hiking backpacks which is intended for use by those very little ones. It comes in a number of great designs and you are sure to find something they’ll love. It has a padded back with an airflow which is going to keep them cool and comfortable on their little adventure and this bag is going to be ideal for many different activities, not just hiking. This is a bag which has a slender design which will stop any momentum and make it very easy to carry but it still offers plenty of space with its 10 liter capacity. It’s made of resistant nylon with highly adjustable straps and two main compartments. 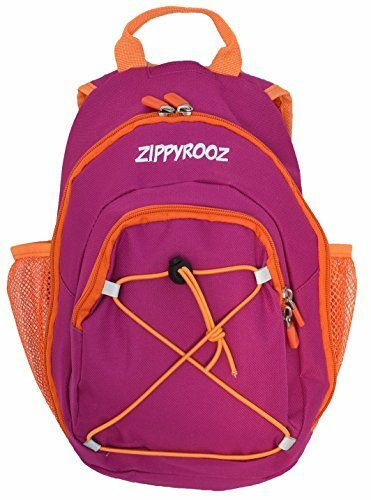 This is a great kids outdoor backpack which is easy to wear and very comfortable. This is another great kids travel backpack from Osprey which is going to be able to hold plenty of items for your little hiker. It’s a great looking product and another one which is available in green or red. The pack has space for a reservoir which is a great additional feature and the pockets have many useful internal compartments. This is an ideal childrens hiking backpack for those kids who are a little more confident. 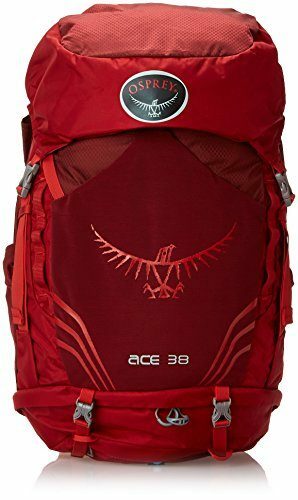 If your kids are a little bit more grown up and have come to love going out on a hike then this would be the perfect kid travel backpack as it’s a little more advanced than some of the other products. It’s fully adjustable to make sure that it always fits them with comfortable and breathable padding. 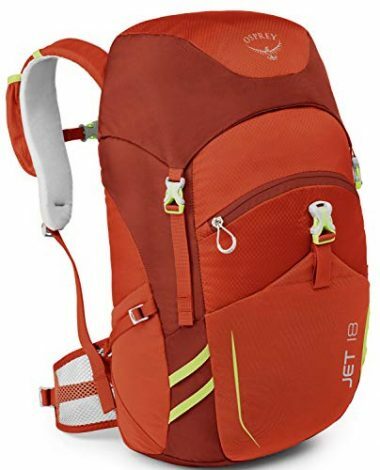 There is a huge amount of storage available and this is a durable youth hiking pack which has all the usability and features of an adult backpack. 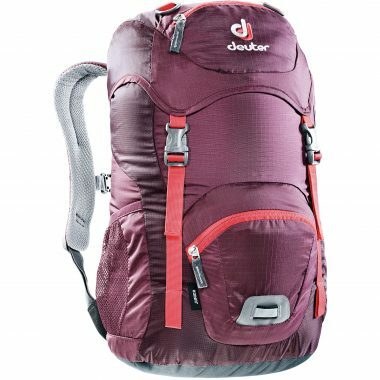 Deuter are great at being able to design kids backpacks which have all the usability of an adult version and this is another great example, which is smaller than the previous product reviewed. It offers a lot of comfort and padding with a large level of features added to it. This is a very durable backpack which is going to last them until they are able to carry a full-sized backpack. Osprey are great at producing kids backpacks and this is another great example. It’s highly adjustable and is going to be able to fit your child even as they start growing up and getting taller. The backpack features a removable rain cover which is going to protect the contents in bad conditions and compression straps to be able to keep everything tight and secure. This is a simpler backpacking solution which will be able to be used for a wide range of different activities. It features a large main compartment and a large mesh front pocket for easy storage. It also has an internal zippered pocket which is a useful feature and internal mesh pockets too. This is ideal for those little adventures and is highly versatile with a few great designs. 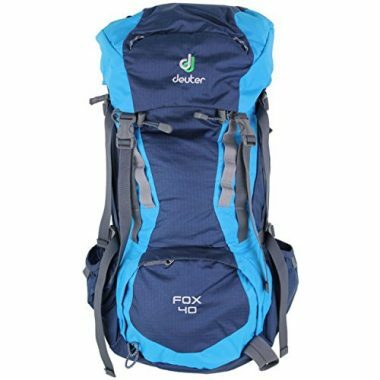 This is yet another great product from Deuter and one which comes with 18 liters of storage space. It’s very easy to use with its snap-on closures and it is also very comfortable to wear. That is helped by the breathable foam that it has and the airflow segments which will help with ventilation. It has all the pocket options that will need and is a highly durable bag. This is one of the largest kids backpacks on the market which is going to be able to grow with them as it will constantly adjust as they get taller, and this is a backpack which should last for many years. It has a great rain cover with easy to access pockets as well as the large main compartment which is able to hold 38 liters of storage. It also features a zipped security pocket under the top lid which is a great feature. The size of the backpack is going to be very important and depends on two key features and they are the age of your child and also the type of adventure that they will be doing. 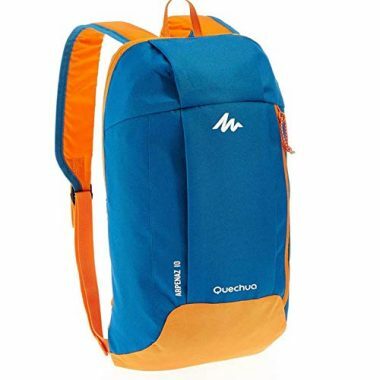 You need to ensure that you are getting a backpack which is suitable for the age of your child. One great feature of many of these backpacks is that they are highly adjustable and therefore can last for many years, even as they get a lot bigger. The type of activity that you are going to be doing is going to be very important too. If you are driving to your favorite spot to go for a short hike then you naturally won’t need a large capacity. For longer hikes and camping trips, however, then a larger bag would be needed for the extra items required. The color of the bag is going to be more important to some kids than others. What we have seen here is the backpacks which are directed at the younger children usually have brighter colors and the more unique designs. 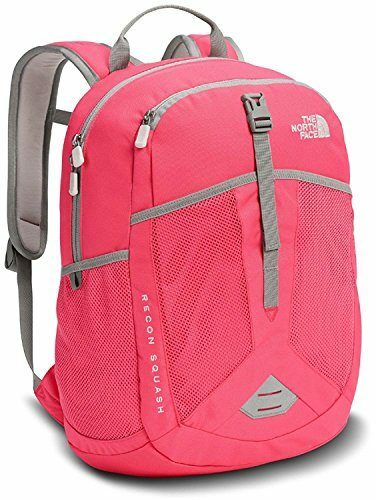 As you start to get to the more advanced backpacks there is usually less choice of colors as these focus more on the practicality and usability of the product. It’s a great idea to let your kid choose their own favorite color to get them further involved in the hiking adventure. These backpacks follow the same system of having a main compartment and then pockets around that. The main compartment is going to be the main place where you are going to be able to store the majority of the items for your trip. 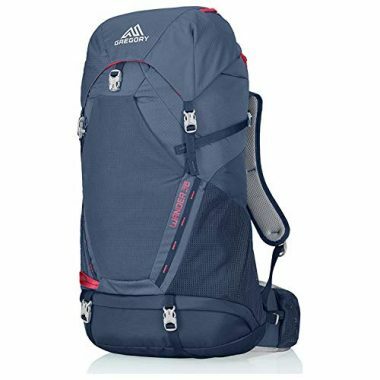 The capacity of this is generally measured in liters with the backpacks that we have reviewed here ranging up to 40 liters. This is dependent on the strength of your child. A fully-loaded 40 liter bag is a lot of weight to take, but this obviously doesn’t need to be filled and therefore it’s generally preferable to just make sure that you have enough space. The main compartments are going to be where you are able to store the majority of your things but the pockets are the places where you will be able to place all the essentials that you need to hand. Having a good range of pockets is a good idea, and hidden zipper pockets are great for valuables. A large pocket on the bag is a great place to store snacks and other items you will need often and side mesh pockets are always going to be a great idea for drinks. The waterproofing of these bags generally increases with their technical capability. Some of these backpacks will have very little protection from water as they are designed for a short hike which are more than likely going to happen in good weather. As they increase in usability and size though, you expect to see water resistance from the material and if you plan on going out in changeable weather then getting a backpack which is going to have a top cover is important to keep your contents dry. Not having to rely on water bottles is a good idea as they can easily be forgotten or dropped. Having a hydration sleeve is a great way to have access to water at all times without having to reach around for a water bottle. Only the higher end and more technical of backpacks will contain hydration packs and they are a good feature to look out for where water can be stored. Aside from this, having strong mesh side pockets are going to be important. As it is with any backpack, the fit is going to be important. This importance is probably going to be even more important for kids, however, as not only are there a wide variety of heights between different age groups but they also grow very quickly. You don’t want to get a backpack only for it to be made redundant a few months later. Having one which is going to have a high level of adjustability is important so that it is always going to fit well. For heavier backpacks, having additional chest and waist straps can be important. This naturally links in with size as you need to match the weight of the product with how strong your child is going to be. 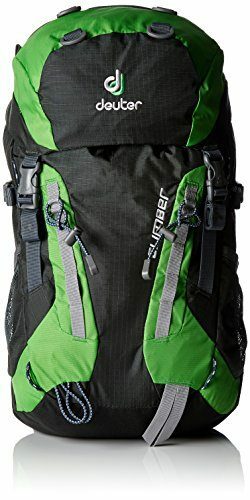 All these products are going to be fairly light but the more technical backpacks can have a significant weight to them. Weight though does need to be taken into context of the overall bag as if you are going to be adding a lot of gear, then this is less important. It is also a good idea to check the weight capacity to check that you are not asking for too much from your bag. Q: Does My Kid Need His Own Hiking Backpack? A: This depends on a few different factors including the enthusiasm of your child and the activity that you are doing. If you are going on a short hike then they might not need their own backpack or they might want one in order to feel more independent and more involved. As you go on longer adventures, then the importance of an independent backpack increases as you will be less likely to be able to carry it all on their own. As they get a bit older, your child will need their own backpack due to the amount of gear they will need. 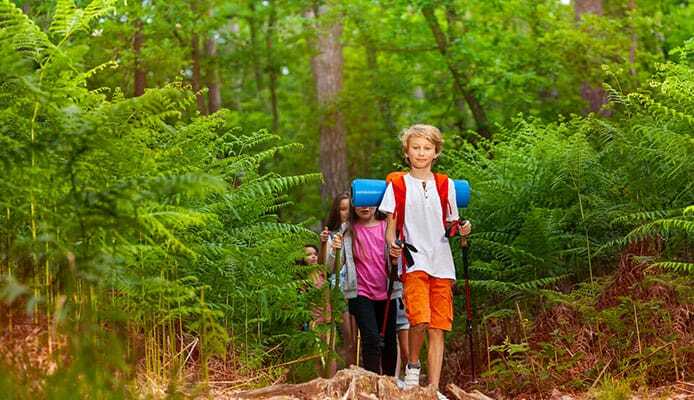 Q: Are Hiking Backpacks Too Heavy For Kids? A: Not at all as the actual weight of the backpack is always going to be relatively low. You only need to add to it what you need too and therefore it doesn’t have to be any heavier than a school bag if you are worried about weight. If they are only carrying the things that they need then it’s highly unlikely as it’s going to be a problem. As they get older and stronger they would need more items but this wouldn’t be an issue as they are going to have the strength to cope. Q: What Is The Recommended Age For A Child To Start Wearing A Backpack? A: At any age they can start wearing a backpack, it just becomes a case of common sense. There are backpacks available here which are very small and very easy to carry, just because you are hiking it doesn’t mean that you have to start using a heavy backpack. As they start to get into the double digits in terms of age then that is probably going to be a good time to look into them getting what will be a slightly smaller version of a fully functioning adult backpack. All you need to do is move with the times and get a backpack which suits their age. 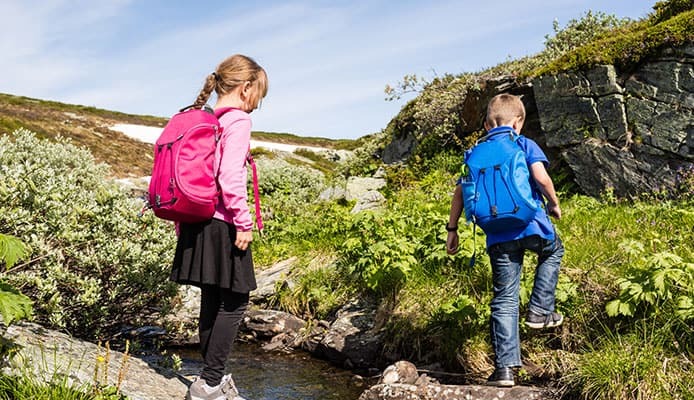 It could be that you are no longer able to carry all the gear that your family needs to hike or it might be that your child wants to get involved in the hiking process but getting a kids hiking backpack can be a wonderful way to enjoy your hike even more. The backpack will give them a sense of independence and it will also make the load on your shoulders lighter and mean that you don’t have to take it off every five minutes to get into it. These backpacks are very well designed and take age and ability into mind. You want to make sure that you are getting a size which is going to be comfortable for your child and once you’ve done that then you can move onto other factors such as the compartments it has, the pockets and the color. Hopefully this guide has been able to help you make your decision easy and give you confidence in getting the perfect backpack for your child. Once you have, then you can start them on a lifelong love of hiking.